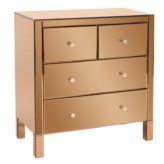 Category: Bedroom, Storage, Chests & Dressers. Tags: 0-2 Weeks Production, Howard Elliott. 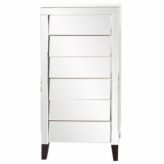 Product Description: This striking dresser is the epitome of functional style. It features a mirrored body of clear glass. 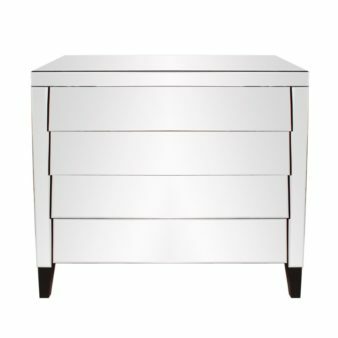 Each of its 4 drawers are mirrored and angled so they look like they are overlapping each other. 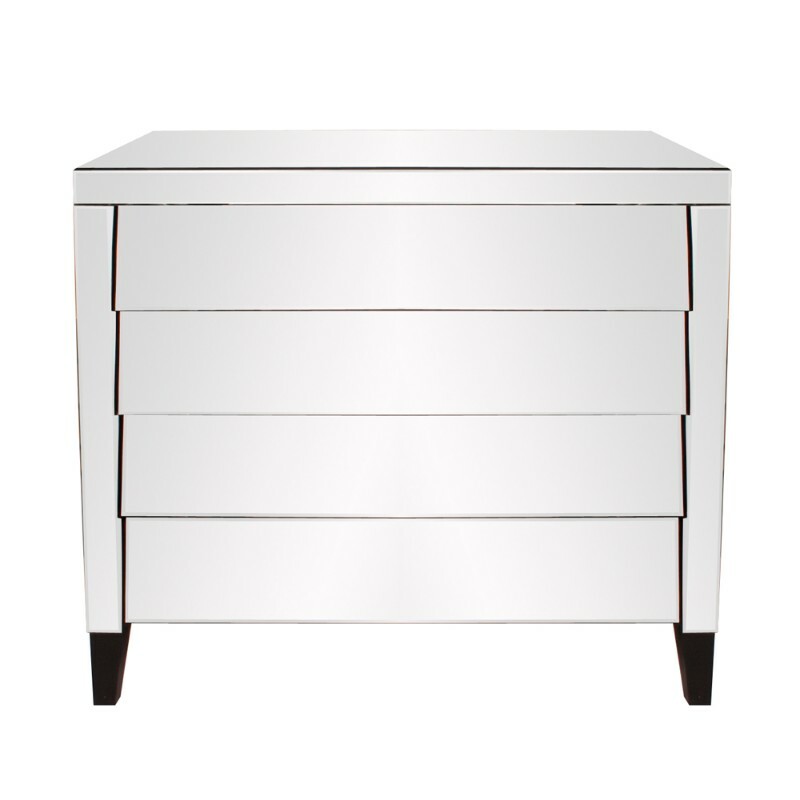 Each mirrored panel of the dresser has a thin bevel adding to its style and beauty. 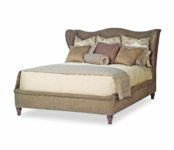 This piece would work great in a bedroom set, in an entryway or anywhere that you need some glamorous extra storage! 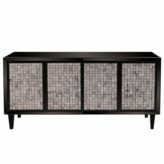 Pair up with the other sizes of the collection to complete the set.